We just wanted to pass along the following note concerning upcoming Latin Masses at Sacred Heart of Jesus Parish in South Euclid, Ohio. 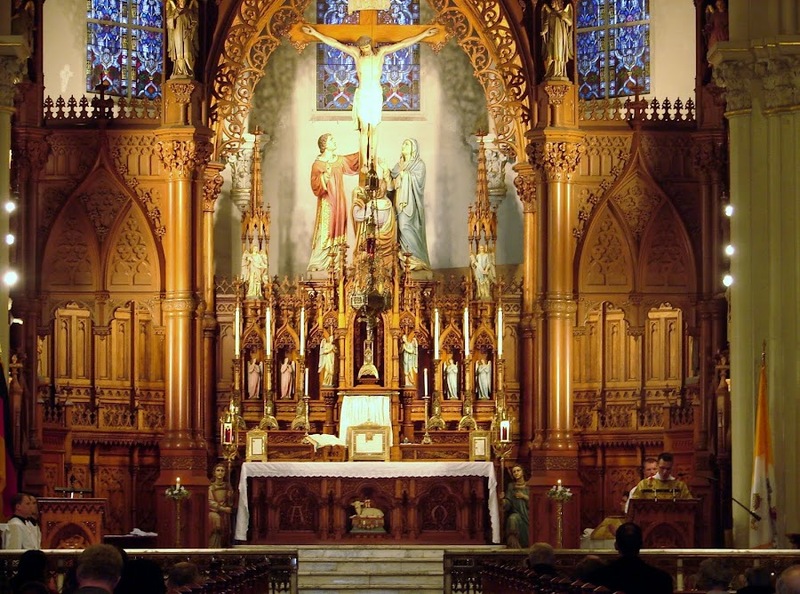 In light of the USCCB's "Fortnight for Freedom", St. Stephen's First Friday Latin Mass at 6:30pm will be offered for the Defense of the Church. The Mass will be of the Sacred Heart, with a commemoration of the prayers (collect, secret and post-communion) from the Votive Mass for the Defense of the Church. As is normal for First Friday, benediction will follow Mass. Please join us as we pray for the liberation and exaltation of Holy Mother Church.